How joyful are those who fear the Lord and delight in obeying his commands. Their children will be successful everywhere; an entire generation of godly people will be blessed. They themselves will be wealthy, and their good deeds will last forever. Light shines in the darkness for the godly. They are generous, compassionate, and righteous. Good comes to those who lend money generously and conduct their business fairly. Such people will not be overcome by evil. 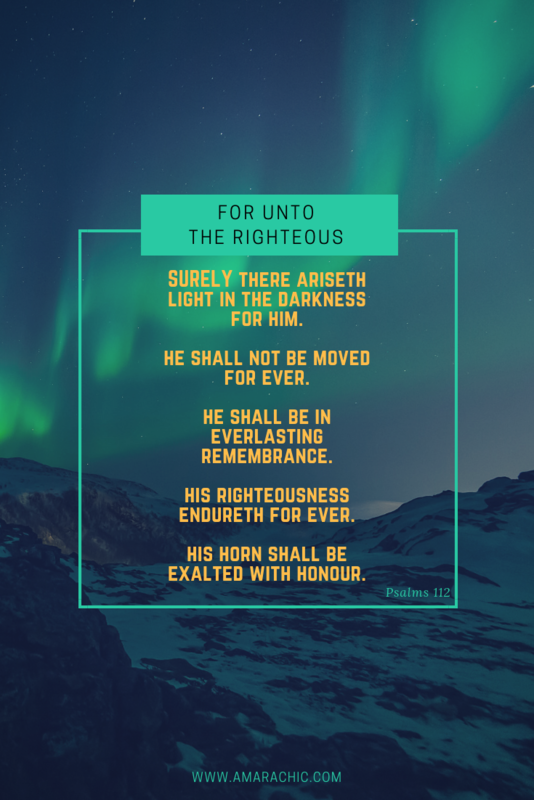 Those who are righteous will be long remembered. They do not fear bad news; they confidently trust the Lord to care for them. They are confident and fearless and can face their foes triumphantly. They share freely and give generously to those in need. Their good deeds will be remembered forever. They will have influence and honor. The wicked will see this and be infuriated. They will grind their teeth in anger; they will slink away, their hopes thwarted.